We are currently building the new Intertex Customer Care Center. Here you will find information, support and other useful tools for you as an Intertex customer and/or partner. First out is the Intertex User Forum. The forum is set up to replace the popular IXCentral. IXCentral was started and administrated by a group of keen Intertex users of the Intertex IX66. Intertex had no control over the forum and when the server running the forum crashed the forum was lost. This new forum will bring you valuable information whether you consider buying an Intertex product or if you already own one. The users on the forum share their experiences buying and using the products, follow the development, evaluate new firmware and posts answers to other users questions. Please also visit www.intertex.se for more information. Address more customers by allowing many more IP PBXes to be connected to your VoIP service! 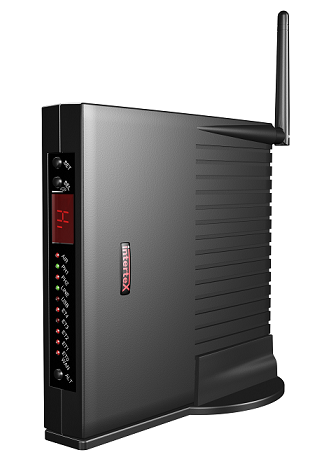 If you offer, or are planning to offer, SIP Trunking services, you need the Intertex IX78, a Router/Firewall/ADSL-modem with built in E-SBC (Enterprise Session Border Controller) functionality.